The Viking (V/VCC) Series is a fiberglass-reinforced polyester enclosure family with opaque or clear polycarbonate screw covers. There are 18 sizes available to meet a wide range of applications. These enclosures feature a watertight rating, high impact resistance and a broad temperature range. Originally designed for low-voltage switchgear and control panels, the versatility of Viking Series is enhanced for mounting outdoor electrical and electronic control by a double insulated body that can be mounted directly to the wall or rail with no external feet or flange. The mounting bolts are completely isolated from the interior of the enclosure, maintaining complete environmental integrity inside with maximum electrical safety. 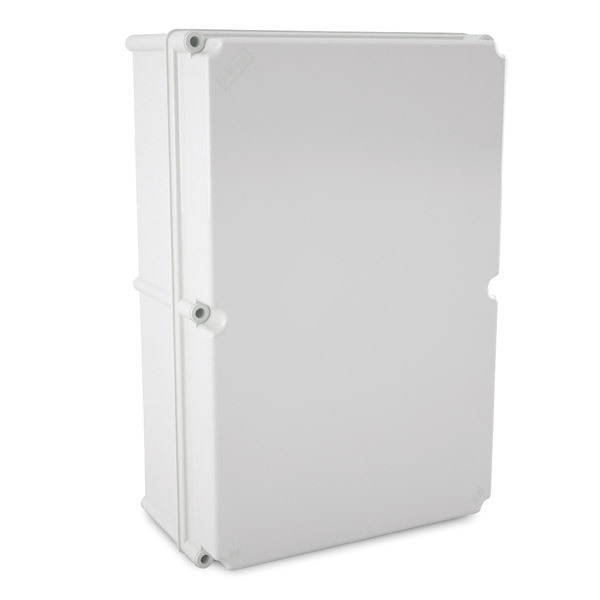 The clear cover version of the Viking Series enclosure (VCC) is particularly suitable for all outdoor applications where polyester offers the best quality and a prolonged life span even in the most adverse weather or chemical conditions. The clear cover is ideal for mounting surveillance cameras and security systems. Of significant environmental importance, Viking Series enclosures are completely free of toxic components and heavy metals, complying with industry directives and RoHS policies.